Used to supply 3 phase power, usually from a pole- mounted transformer, to the user's service head where connection to the service entrance cable is made. 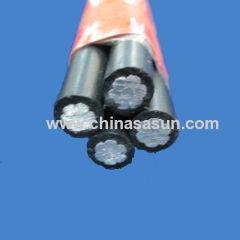 To be used at voltages of 1000 volts or less phase to phase and at conductor temperatures not to exceed 75°C for polyethylene insulated conductors or 90°C for cross linked polyethylene (XLPE) insulated conductors. 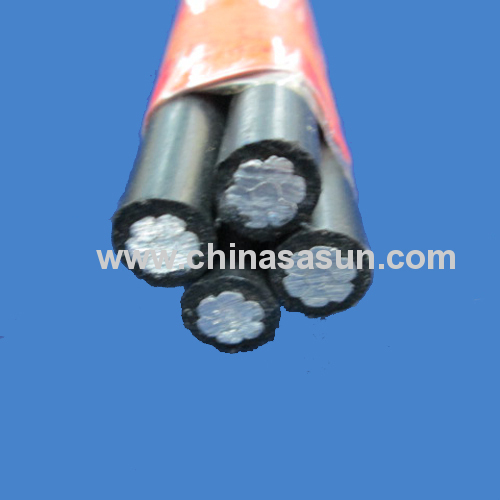 All aluminium conductor, Insulated with either polyethylene or XLPE cross linked polyethylene. Neutral messengers are concentrically stranded 6201, AAC, or ACSR. One conductor is manufactured with an extruded ridge for phase identification.